to Link Digital Assets and Reality with the passion for creating mass adoption in Thailand. SIX Network launched their newest application, SIXR. Designed for the next generation of gamers and creatives alike, SIXR is a lightweight wallet equipped with features designed for token utilisation within SIX’s platform and partner ecosystem. The application, written for a Thai audience, merges the virtual and physical world. 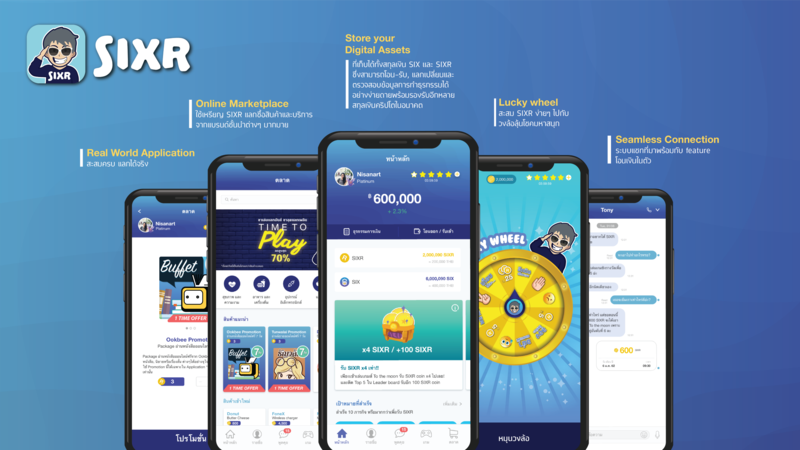 Users can earn tokens by playing games in SIXR, and then use the earned tokens to purchase items in the real world. SIXR tokens can also be sent from person to person via the chat feature. Through SIXR, the company aims to attract more creator (individuals who use their creativity to produce content for the digital and creative industry) to the futuristic financial world like cryptocurrency. This cryptocurrency wallet unites the gaming experience and investment worlds. 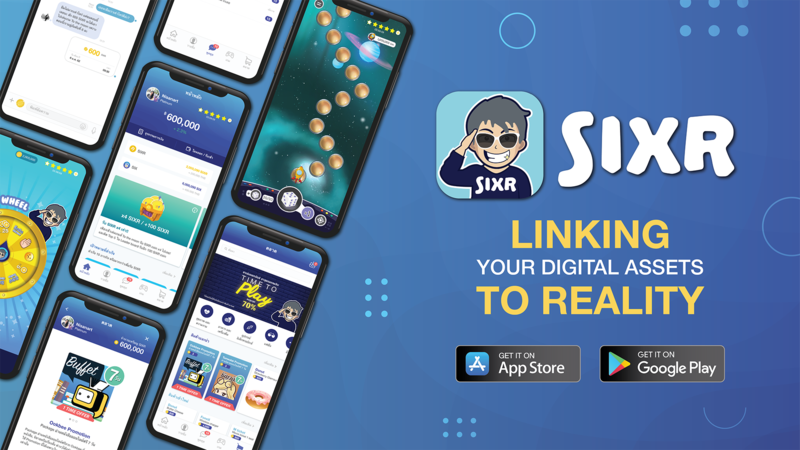 Through the gaming and rewards systems, SIXR strives to become a mass adoption blockchain technology product. In the future, SIXR aims to be the main wallet for creative workers and young generation. “SIXR will be the first cryptocurrency wallet for the young creator who has potential to create his or her digital asset,” said Vachara Aemavat, Co-founder and Co-CEO of SIX Network. “SIXR will be the link between their creativity and putting food on the table.” However, we will be launching within Thailand first while we keep improving and scale to the other country in Asia soon. For the initial release, the application has five main features, including: digital wallet, home screen, contact list, chats, games and a marketplace. Home-screen / Digital Wallet On the home-screen, users can find the most pertinent information related to their accounts, including: their token balance, stamina and current rankings in games. Additionally, they can send coins and share their QR code directly from the home-screen. Contact List The SIXR contact list acts as a typical contact list, allowing users to keep track of all their friends. Additionally, in the future users can call friends using the voice feature in the contact list. Chat SIXR users can chat with fellow using the “chat” feature in SIXR. One of the coolest functions of the “chat” is that users can send SIXR tokens directly in chat. Games SIXR is launching with two game, Lucky Wheel and To The Moon, but is already working to produce one other games. Lucky Wheel is a game of luck. It is easy to play / Users can play and get rewards easily, users just hit the “spin” button to trigger the wheel. There are six spaces for the spinner to land on, but only three of those spaces have token prizes. Players get four chances to spin and, if the spinner lands on one of the token spots, they earn SIX tokens. To The Moon is the journey into space by using dice as a fuel. Challenge your mile with your friend and get a chance to win the weekly reward. After installation, Players will receive 5 stars for playing game to get tokens (and winning) games. The tokens, in turn, can be used to buy actual products in the marketplace, and, even in some other applications like Ookbee and Tunwalai in the future. Marketplace The SIX marketplace is for the real world utilisation of SIXR tokens. In the marketplace, users can exchange SIXR tokens for actual products. For example, earn 411 SIXR tokens, and purchase a 100 baht voucher for Starbucks. Additionally, if downloaders also use our partners’ apps, Ookbee and Tunwalai, they can use their SIXR tokens to pay for these products. Ready to try our SIXR for yourself?